National election fever is rising in Denmark with loads of speculation about when the election will be called. Campaigning has already begun. On my way to the CycleLogistics conference a couple of days ago Kamal Qureshi from the Socialist People's Party was at a red light near City Hall Square. 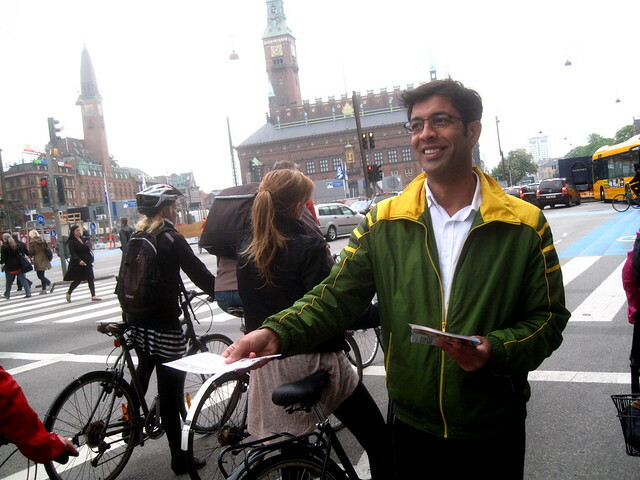 When each flock of cyclists stopped for red, he walked through and handed out leaflets. 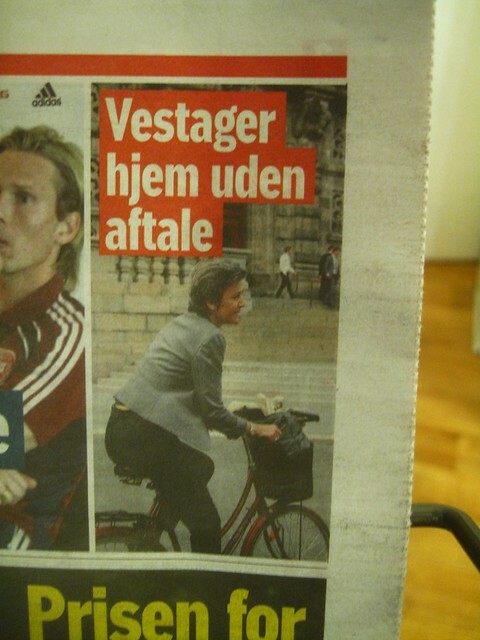 On a newspaper earlier in the week the leader of the Danish Social-Liberal Party, Margrete Vestager, was featured in an article. "Vestager Goes Home Without an Agreement". Featured on her bicycle outside the parliament. The man on this photo isn't a politician but he's married to one - Henriette Kjær. He was sentenced to three years in jail for fraud - his actions forced his wife to resign - and the headline reads: "Sentenced to three years in jail... Here is Erik running away..."
On bicycle of course. 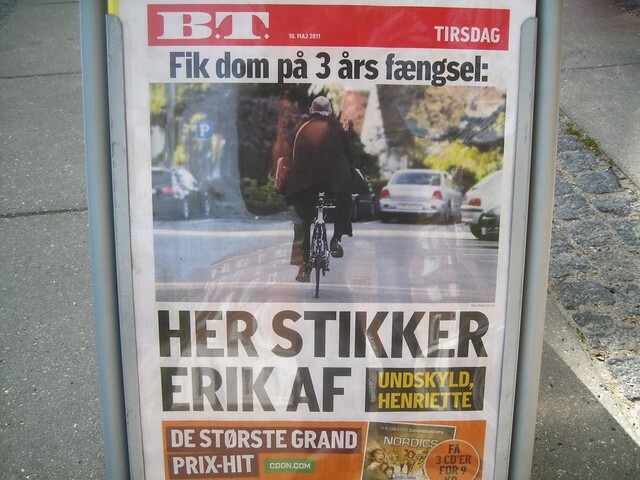 I don't know what the story is about - and am not interested - but of course he took off on a bicycle.